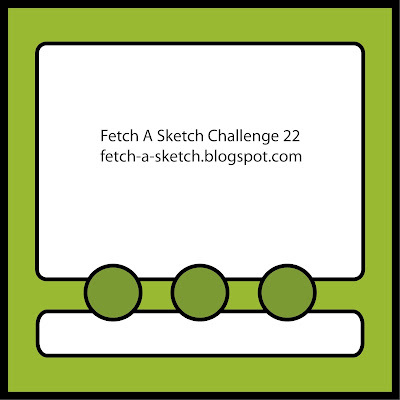 Starting today, I'll be participating weekly instead of biweekly with my wonderful teamies at the One Stitch at a Time challenge blog. Looking forward to working with more fun StitchyBear Store images! 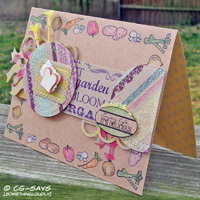 This card uses no designer paper; I created all the BPs myself, using the Let It Shine set from Verve Stamps. I heat-embossed the sun/flower images in Translucent Yellow (Stampendous), and colored the flowers with Sharpies.I based my color palette on that pretty printed ribbon. I distressed the pieces with Mustard Seed distress ink (Ranger). Hope you'll join us at One Stitch at a Time for our Here comes Summer! challenge. For entries using a StitchyBear Store product (be sure to add a # after your name when entering), the prize is 3 Promarkers from Creative Craft World. You're welcome to enter the challenge using different products, but instead you'll be entered into the draw to win a $3 coupon to StitchyBear. Can't wait to see your projects! 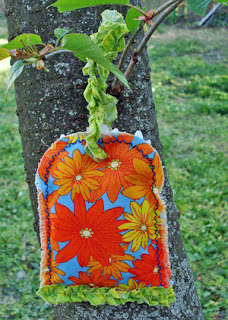 One Stitch at a Time Challenge #111: Here Comes Summer! It really is true that art is its own reward; of course, it's also true that an award is a reward! 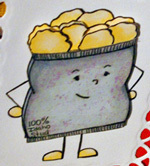 So having my oh-so-fun-to-make Bag O Chips card featured at Fresh Brewed Designs (FBD) was especially thrilling. 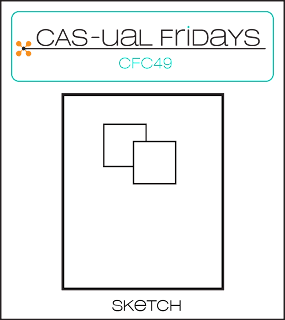 Oh, and I won 3 FBD images to boot, and as they say, a prize is a great reward! 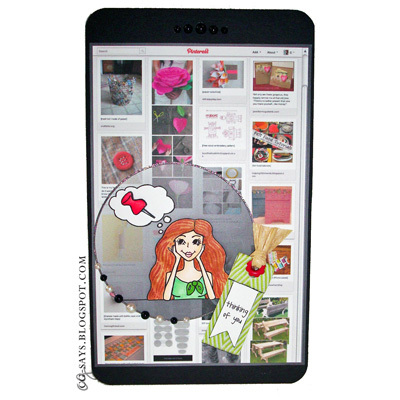 I knew immediately that I wanted one of FBD's oh-so-hip "Pin It" digis! I only joined Pinterest a couple of days ago, and I'm already hooked ... which is why I waited so long to join! I'm pinning this card; if you'd like, follow me and I'll follow you back. ...as seen on a phone! 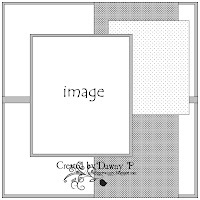 If you're super detail-oriented, you'll notice that the background is actually a screen shot of my Great Ideas board as it appears on my computer not my phone, but that was easier to grab & work with.The final card size is 4 x 6.75 inches. This is a true "hybrid" card: I designed the background & sentiment in Adobe InDesign, then colored the image with Copics and popped-up the pin & woman with foam tape. 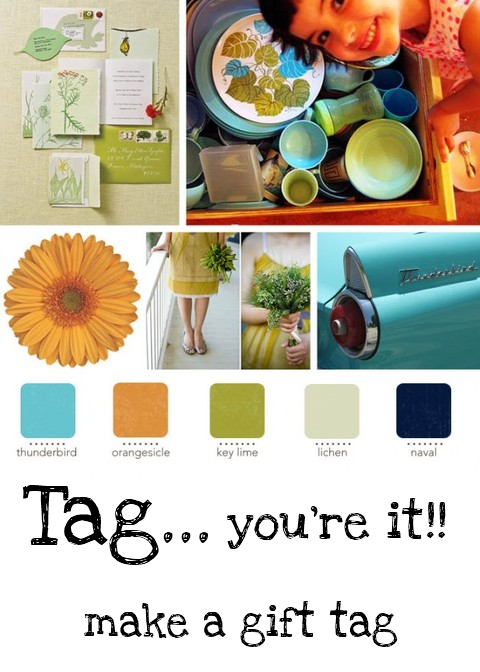 The tiny tag is an idea from One Lucky Day that I saw on ... you guessed it, Pinterest! So easy yet elegant; plus, it's a great way to use up scrap ribbon & stash brads. I added some adhesive pearls, and outlined the image circle with a glitter pen. Speaking of art being its own reward, I hope you've already heard of the fun new challenge blog Just Keep on Creating. The founder, Susan, is a talented & generous blogger and I just love her challenge concept. Their first Anything Goes challenge runs until April 30, so be sure to link up & check out the beautiful projects. Also be sure to check out the weekly and monthly challenge at Fresh Brewed Designs; a great opportunity to use those cute digis! Welcome to my stop on the Dude Time Doodles New Release Blog Hop! You should have arrived here from Dawn's fabulous blog. Your next stop is McCrafty's Cards. The Design Team is featuring four fantastic new DTD images, and one of the Dudettes - or Dude - will be named our MYSTERY HOST at the end of the hop and one lucky person who comments on that blog will win a free Dude Time Doodles image of their choice; So be sure to comment on each blog. You have a whole week to hop (through next Tuesday). I used John MacinNo by Dude Time Doodles/Bonibleaux Designs, and used the font Funky Fresh to make an appropriate sentiment with a Grawlix! I made the tennis balls using yellow flocking. 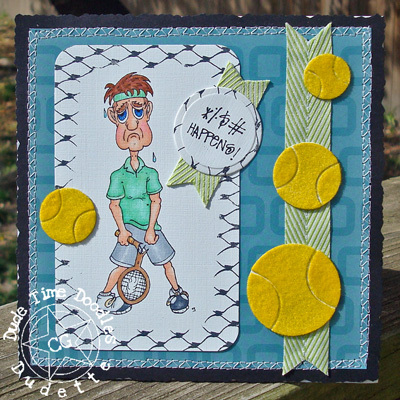 I used the Just Sayin' stamp set from Rogue Redhead Designs (RRD) and masking to create the broken nets. 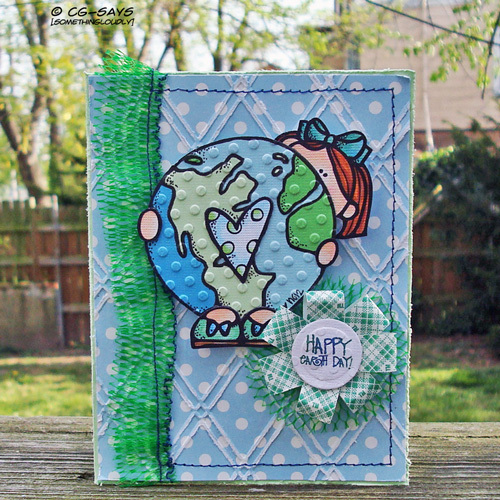 Your next stop on the Dude Time Doodles New Release Blog Hop is the great McCrafty. Update: I was this month's Mystery Host, and the random winner from my comments was #13, Bonnie. Congratulations! It's Tuesday, must be Party Time! 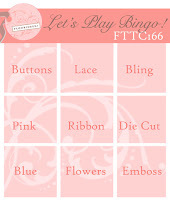 The always-fun challenge blog Party Time Tuesdays invited the Feline Playful team to Guest Design this week. I update the Feline Playful Winners posts on Thursdays, Fridays and Saturdays, so I'm so very honored to be partying with them! I adore my teamies and truly enjoy visiting all those blogs, but the appreciation that ya'll send our way is a giant cherry on top! 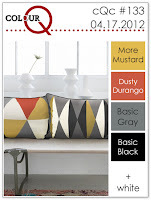 Be sure to head over to their blog and check out the gorgeous DT projects, including those by their newest team members. 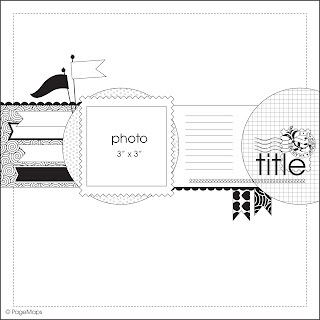 This week's challenge is sponsored by Crafty Sentiments and the Kraft Outlet, as well as their monthly sponsor, Bugaboo Stamps. The patterned material is from the Daffadilly Collection by Fabric Central; I used StazOn to stamp the images and colored them with Sharpies before sewing the swatches together on my machine. I did go over all the black with my Copic microliner. I stuffed the bags with cotton stuffing and a bit of catnip. Both of these Cat stamps are by Inkadinkadoo, but from different sets. 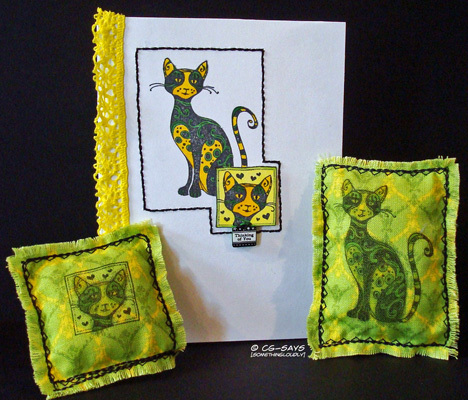 Mom sent me the large cat stamp (you may remember it from the Feline Thankful blog hop back in September 2011), and I won the inchie set via the Midnight Madness Sketch Challenge. Even though the Cat Head Square is popped-up on the card with foam tape, I did use masking to stamp the square & large cat onto the card base. The tag/sentiment is from the same inchie set, but stamped onto Shrinky Dink plastic and shrunk in my toaster oven. I sewed the charm onto the square piece with black thread. The border is machine-sewed; I just eye-balled it. The yellow lace is from a $1 spool I grabbed in line at Jo-Ann's last weekend! The metal is actual the top of a Pringles single-serve pack! This is great material to work with; I'm definitely going to be hoarding these for crafting purposes! I colored the image with Copics and went over the bag with Stickles to give it shimmer. I used foam tape to pop-up the layers. I used Mustard Seed TH distress ink on the sentiment piece; it's not quite so yellow in real life! The adhesive black pearls are from ColorStories. 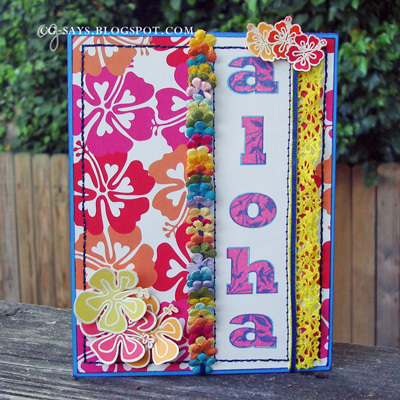 I used the same Spellbinders set to emboss/cut all the pieces in my BigShot. 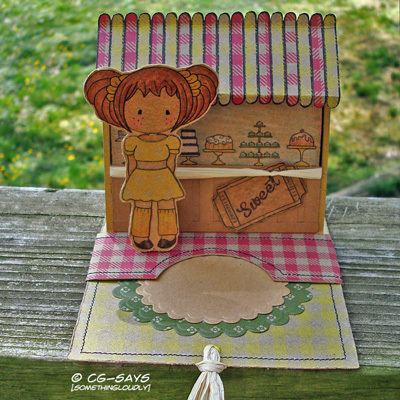 Update: This was the featured card for Fresh Brewed Designs Challenge 92! Wow, thank you! It was also the lucky winner for The Squirrel & the Fox Challenge #16. Now that's delicious! I know I shouldn't be buying paper until I make a sizeable dent in the paper I have, but when I saw the garden-themed, glittered-embossed, patterned Kraft cardstock pack from Recollections on 50% clearance at Michaels I decided that the Universe really wanted me to have it! I don't have anything like it, so you'll be seeing a lot of this pack in my Kraft projects! 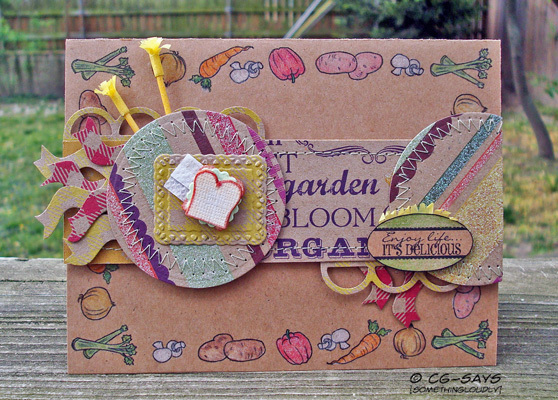 For this card, I used a piece of the patterned paper as the card base (see the yellow pattern on the inside), and printed the Soup Border by Phindy's Place directly onto the Kraft side. I colored the veggies with colored pencils; practice practice practice! 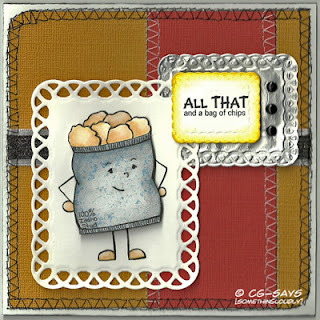 This is one of my all-time favorite sentiment freebies from Create with TLC. Thank you Paulette! I gave it a little color with colored pencils. I made the Frilled Toothpicks myself, using tissue paper, yellow toothpicks, and the tutorial at Daydream in Color. This was so easy; definitely something I'll do again. 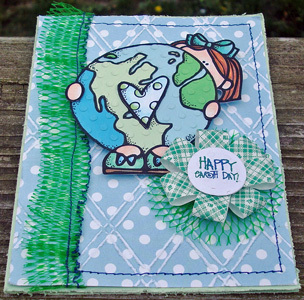 The ric-rac, borders, circles, and that cute little "placemat" were cut with my Big Shot using Spellbinders & Sizzix dies. 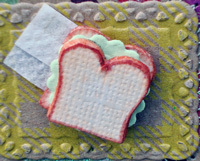 So I admit it: this was all an excuse to make this tiny paper sandwich! I was inspired to make a tiny piece of bread after seeing this teensy chocolate bread slice by Susan (be sure to check out her post, complete with literary background & recipes!). I adhered a scrap of textured white card to a piece of foam tape, and then cut out the bread shape. I edged it with a Copic (I can't remember which brown! Sepia?) and colored it with Milky White and Egg Shell. The "lettuce" is embossed/cut with a frilly-oval Spellbinder die; I folded it down and trimmed the edges to fit. The tiny napkin was made from a regular paper napkin! You may remember my paper enchiladas from last year...pretty soon I'll have a whole party spread! That's me, CG, on RRD! Man, blogging has made my life so much more exciting, ha ha! 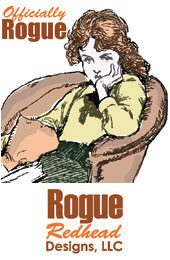 Not only did I win a $15 GC toward the awesome Just Sayin' stamp set from Rogue Redhead Designs (RRD), I was "Caught Red-Handed" with my first project using it! 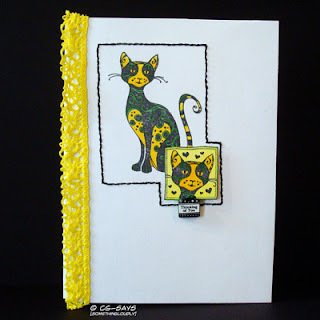 Today my card is featured on the RRD blog, and I wanted to take the opportunity to thank them again and to encourage you to check out their great blog, if not to immediately grab some of their fun & gorgeous stamps! You can see all my projects using RRD stamps here in my archives (there are only a couple now, but more to come...including next Wednesday, hint hint!). 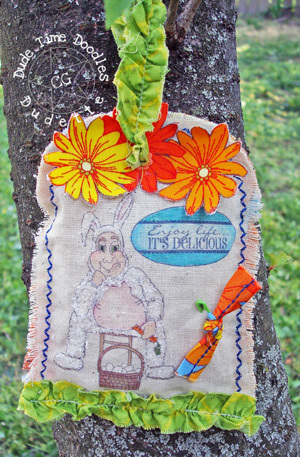 I used Earl Bunny by Dude Time Doodles/Bonibleaux Designs and a sentiment from Create with TLC to make this funny, all-cloth tag. I love the look on Earl's face! I can't imagine my dad dressing up in a bunny suit, but my mom actually owns one that she wears for Spring photos with the kids at the local elementary where she works/volunteers. She's an awesome bunny! One of her students is her friend's granddaughter, who now says "Miss Ann can come in, but the rabbit has to stay in the car"! I printed the image & sentiment directly onto the canvas material (scrap from a bag! ); to do this, I glued the material onto a piece of white cardstock with a glue stick. I left the material on the cardstock while I colored it with Copics and added fine white FlowerSoft to the bunny suit; then it was simple to peel off the material off of the paper. 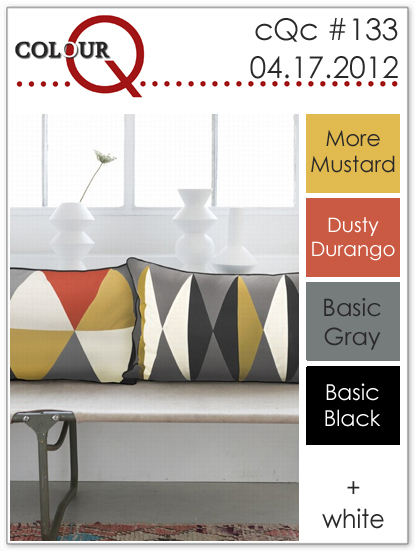 The patterned material and "skinny strips" are from the Daffadilly Collection by Fabric Central. I did sew the knotted strip on the front myself! I used a pretty seam stitch to sew the pieces together. I know I'm a little late for this Easter...but I'm early for next year's! Wait until you see all the super tags the Design Team came up with. Hope you'll join us at Dude Time Doodles and make a tag with the photo/color inspiration; you could win a $20 gift certificate to Paper Temptress! I created the sentiment(s) in InDesign using the font FunkyFresh and a blue/green gradient. Both are cut/embossed in my Big Shot using Spellbinders dies.The sentiment on front, the paper-pieced globe, and the background DP (you know it's Echo Park!) 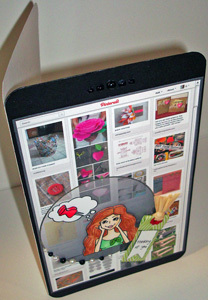 are embossed with Sizzix folders. 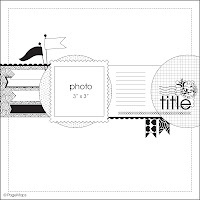 This image is so perfect for paper-piecing! The globe uses 4 papers from my *new* "Minty Fresh" Core'dinations 65LB textured cardstock pack (thanks to Jo-Ann's liberal coupon usage policy!). The girl & the central heart are cut from a white paper from the same pack. I colored those pieces with Copics. Have you guessed my reused items? The plastic netting is from a bag of garlic, and the green-and-white patterned "paper" for the flowers is the backing of Scotch foam tape! You can see the tiny "TM" on it...I guess in case it stands for "The Mother", ha ha! I'm so glad I made up with my sewing machine! I've been having fun playing with it again; every few months it just decides to act up and I have to wrestle it back into submission. I was very pleased with how my sewing machine sewed onto the netting. For the "ribbon" on the left, I first used a seam stitch and then folded the netting in half, and sewed that together with a straight stitch. I really like how funky it is! For the netting piece underneath the tape-backing flower, I used a loose straight-stitch and then scrunched up the netting until I could make a little rosette, which I glued onto the the flower piece. The flower made from the Scotch foam tape backing actually came to me right when I thought I was out of ideas... I wanted to make a flower from something recycled, but I wasn't sure what I wanted...I poked through my recycling for a bit, and then gave up and sat at my crafting table to try to "think out" the problem...and my eyes settled on a little pile of the tape-backing trash that I used for my last project and never threw away! They were even cut in the perfect length! Here's how I made the flower: I stacked the paper strips and gently folded them in half (being careful not to crease them); then I carefully pieced the end with my awl. I slid the whole thing onto my awl, and then carefully re-slid it onto a brad. I closed up the brad and moved around the layers to create the flower. I added a little silicon glue to adhere the petals in place, and glued the sentiment on top. Making this reminded me of all the gorgeous projects using recycled items that I've seen on Cards, Crafts & Kids Projects; if you're not yet familiar with Dr Sonia's work & tutorials, do check them out! Thanks for visiting, and be sure to check out my inspiration below. 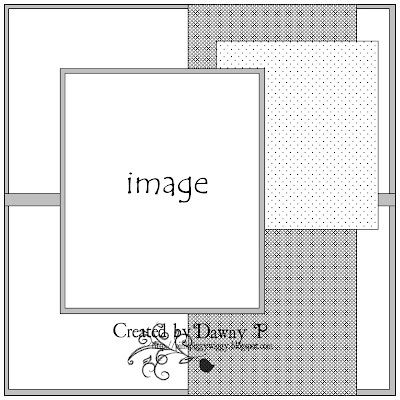 CES Challenge #81: Paper Piece It! 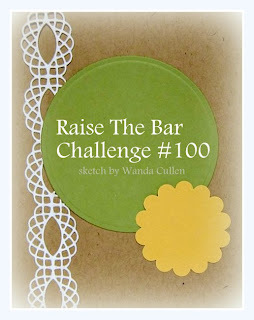 Update: This card placed in the top three for Raise the Bar Challenge #100 as well as for Simply Create Too Challenge #11! And I just have to participate in the Bonus Round for Recycle, Re-Purpose & Re-Invent Challenge as well! Their two-part question is: 1) What’s the strangest thing you have been hoarding for the purpose of using it in your art and 2) how do you plan to use it? This is actually a really tough question for me, as I've hoarded many odd items over the years... Rock Candy sticks, plastic packaging, gift packing, bottle caps ... and those are the items I've managed to use. I also keep my empty ribbon spools, and have a fairly huge collection of green straws. I was planning on using the straws to bind a piano-hinge book, so for about four months my husband always grabbed me an extra straw when he went to Starbucks! He's so awesome! 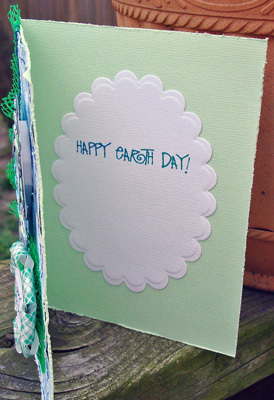 And then I kinda got out bookmaking in favor of cardmaking...but I'm going to use them someday! But the Strangest thing, in recent memory? I've been around crafty folks way too long to have any concept of strange, ha ha! So I guess I'll cite the tiny spoons I've been hoarding since...um, June? On one of our trips to our local farmers market, we spent some time & money at the Wild Pea Hummous booth, and when the owner caught me tossing our sample spoons into my purse (don't worry, they were well-licked!) he offered me a few clean ones. He also offered me his collection of used spoons, but I decided that was too big of a commitment for someone who didn't even know what she was going to use them for! But don't worry, once I figure that out I'm heading right back for some hummous! I'm looking forward to reading everyone's posts for this recycling challenge. Thanks for the inspiration, everyone! 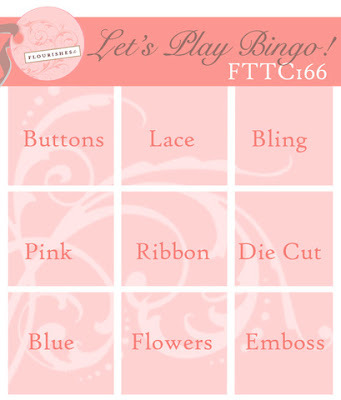 This week at One Stitch at a Time, we're challenging you to go BRIGHT! 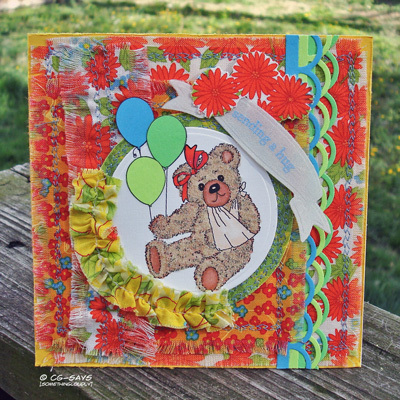 I pulled out this fabric pack from Jo-Ann's to make this Get Well card featuring Boo Boo Bear by Stitchy Stamps. To be honest, I didn't originally intend to use so much stitching on this card, but I was super inspired by the gorgeous Design Team at Crafting Life's Pieces (CLP)! I was also totally blown away by the challenge entries thus far...wowza there's a lot of talent out there! Speaking of talent, wait till you see the beautiful and BRIGHT projects made by my OSAAT teamies! You'll definitely be inspired. For entries using a StitchyBear Store product (be sure to add a # after your name when entering), the prize is a £10 UK voucher from Joanna Sheen. You're welcome to enter the challenge using different products, but instead you'll be entered into the draw to win a $3 coupon to StitchyBear. Can't wait to see your projects for OSAAT #109! The Joke's on YOU at Dude Time Doodles!